If you're a petite woman looking for bargains, whether it's for petite evening wear, petite casual wear or petite workwear, we have the essential tips to help you shop effectively. Are you shopping in the right stores? Shop in petite departments first. If you're trawling through clothing in the non-petite racks before checking out petite stores online or the petite section in stores, you're wasting your time. The time and energy spent in alterations is rarely worth the purchase. Most retailers that advertise a petite range cater not only for women who are short but also those who have a small frame. Remember that tall women can also have a short torso or narrow shoulders, so petite shirts and blouses tend to suit them better. Petite garments always have smaller proportions to the norm whether it's smaller armholes or higher waistlines to achieve the best fit. Make a detailed list of what you actually need before sale shopping. Focus on items that complement things you already own so you get maximum wear out of your new purchases. If you're really desperate to get that dress in the non-petite section because it isn't available in a petite version, always take into account the alteration costs. Hem modifications tend to be cheap and simple to do whereas reducing shoulder width is a complicated change that will cost more. they make you look younger and they don't compliment the petite figure. Most petite women are small with voluptuous and proportioned figures so a well fitted tailored garment suits petites best. Find out how to dress for your petite figure. Although many sale items are clothes which are no longer on trend, you need to focus on quality and what suits petites. Pay attention to your body type; for example if you have a large bust, choose V-necklines, if you have a small bust but wide hips, choose A-line dresses. Florals and horizontal stripes could be in fashion but uniform colours and vertical lines suit petites better. Timeless pieces are always value for money, clothes that can be interchangeable from day to night or good quality fabrics that last a lot of washes can be passed down or brought out of your closet once everyone has forgotten the last time you wore it. You can never go wrong with buying classic investment pieces (think little black dress, brown or navy sharp blazer, white shirt), it's far easier than searching for garments that align with next season's trends. For petite women it is all about creating an optical illusion with your clothing and this can be done very well with colours. Monochromatic colours work very well along with unbroken lines of colour to give height. Consistent colour from top to bottom will give a petite woman heightening effect. As boring as it may sound, stick with simplicity, it's always a safe bet. Shift dresses can work well too. The long-awaited January sales have begun and if you're a petite woman looking for bargains, whether it's for petite evening wear, petite casual wear or petite workwear, we have the essential tips to help you shop effectively. Shop in petite departments only. If you're trawling through clothing in the non-petite racks you're wasting your time. The time and energy spent in alterations is rarely worth the purchase. Most retailers that advertise a petite range cater not only for women who are short but also those who have a small frame. Take into consideration alteration costs. they make you look younger and they don't compliment the petite figure. Most petite women are small with voluptuous and proportioned figures so a well fitted tailored garment suits petites best. 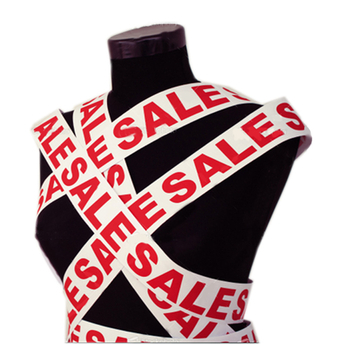 Although many sale items are clothes which are no longer on trend, you need to focus on quality and what suits petites. Florals and horizontal stripes could be in fashion but uniform colours and vertical lines suit petites better. Timeless pieces are always value for money, clothes that can be interchangeable from day to night or good quality fabrics that last a lot of washes can be passed down or brought out of your closet once everyone has forgotten the last time you wore it. You can never go wrong with buying classic investment pieces (think little black dress, brown or navy sharp blazer, white shirt), it's far easier than searching for garments that align with next season's trends. For petite women it is all about creating an optical illusion with your clothing and this can be done very well with colours. Monochromatic colours work very well along with unbroken lines of colour to give height. Consistent colour from top to bottom will give a petite woman heightening effect. As boring as it may sound, stick with simplicity, it's always a safe bet.